What is the difference between copyrights and patents? The terms patent and copyright are familiar to most of us as types of intellectual property protection, but it can be hard to know exactly which one applies when it comes to your own work. The short answer is that patents protect a physical invention whilst copyrights protect expression and creativity, and so the intellectual property in question will determine which type of protection is required. To gain copyright for your work, it must be an original creation and fixed in a tangible medium. An idea in itself cannot be copyrighted. As the name suggests, it protects the rights of whoever created the original work, providing proof of ownership. Copyright also determines the responsibilities of anyone else who wants to use your work. The modification right, giving the copyright owner the ability to modify the work to create something new based on pre-existing work. The distribution right gives the creator the ability to distribute copies of the work through sale, rental or lending. Other rights include the Public Performance Right, giving the ability to transmit the work through multiple mediums of performance to the public and the Public Display Right, again to transmit the work through media formats. 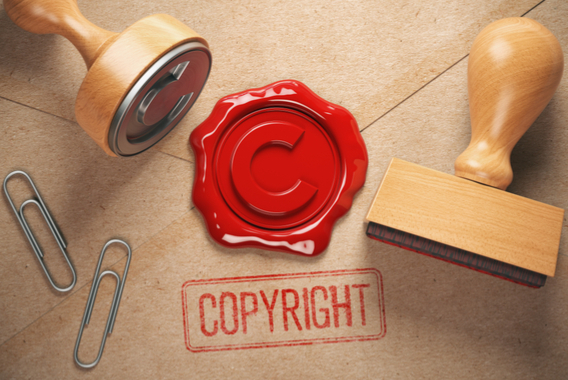 What are the benefits of copyright protection? The above rights combined with the power to prosecute a company or competitor who misuses your work means you can retain control of your investment. It allows you the freedom to develop your work with the confidence that you will be fairly credited for it. It must be commercially applicable. It must have an inventive step. Applying for a patent can be an expensive and complicated process and so it’s important to check it is the right choice. See the Newbury Innovation White Paper for a detailed guide at what can be patented with the golden rules to ensure you’re doing the right thing. *it must be noted, for anyone seeking a patent MUST seek professional advice and assistance due to its complexity. We have produced a guide to aid with understanding, which must be followed up with a patent lawyer. What’s the best protection for my product? It all depends on what stage of the development process you’re at. If you have a new idea, written or drawn out then this can be copyrighted to ensure the exact method, process or product isn’t plagiarised. If you have created a completely new prototype, you can apply for a patent to protect this from the competition. If you have a copyrighted idea or a patented product and you’re thinking of creating a business based around it, the third piece of intellectual property could come in handy. Registering a trademark on your company gives you the exclusive rights to sell your products, or license it out to other companies.